How Can Marketing Make Your Company Wealthy? Being diagnosed as an entrepreneur does not have to be terminal. Far too many entrepreneurs launch with unrealistic expectations, and if they are members of the 1/3 of companies that do survive more than 18 months, they fall prey to “the entrepreneurs’ dilemma”. As an entrepreneur you probably were working for someone else and found a market opportunity, a need, and a problem that needed to be solved. Chances are you brought the opportunity to your company and they quickly dismissed your idea. So what are you to do? Do you keep trying to convince your “hippos” the size of this opportunity or do you break out on your own on a quest to solve this problem so obvious to you? If you are wired to be an entrepreneur you set out to solve the problem, and if you truly understood the problem and designed something that solved it completely, you start experiencing sales. This is a fun time because if you did your research before launch, your marketing message clearly explains what your product or service does and buyers instantly get it. At first your biggest challenge is how to make more…quicker. The next thing you know you are hiring others and you now have a “team”. You now have a CFO instead of your wife paying the bills. You are hiring others from the industry and training them to meet with the customers you once served personally. Then it happens one evening, usually after 7:00 pm on the drive home (late for dinner again) you do a gut check; “Am I having fun anymore?” If you are honest with yourself the answer is often “no” as you is now “running “a company. Your days of meeting with customers and potential customers are replaced with meetings, planning, and holding your team members accountable. (You became a hippo) You begin noticing a decrease in the incremental sales growth per new employee hired. The days of you jumping out of bed at 4:30 am long before your alarm goes off are replaced with the ring of an alarm at 6:30 a.m. and …dread, another day of work. If it sounds like I have been there I have…”been there… done that….have the t-shirt”. The good news is being an entrepreneur does not have to be terminal. 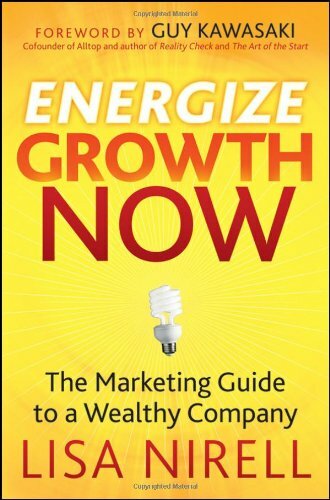 There is a great book I finished not long ago titled: Energize Growth Now, the marketing guide to a wealthy company by Lisa Nirell. If you find yourself in the entrepreneurs’ dilemma or want to avoid it, I recommend you buy this book for yourself and all your leaders within your organization. I found the book provided high level strategies for plugging back into your market as well as tools and rules that are applicable the day after you read this book. It is not too late to energize growth in your company. I particularly liked her chapter on increasing your company’s wealth quotient and seven principles to position your company for higher valuation. It is time we rethink how we “do “business and break the entrepreneur’s dilemma. This book reminds us how critical it is to stay focused on creating value for your buyers and market , and in so doing your wealth quotient as an organization will continue to climb. Are you in the beginning to experience the entrepreneur’s dilemma? Do you find yourself needing the alarm in the morning, longing for the days you did not need an alarm? Are you looking for a road map on how to increase your organizations’ wealth quotient? I highly recommend Energize Growth Now.